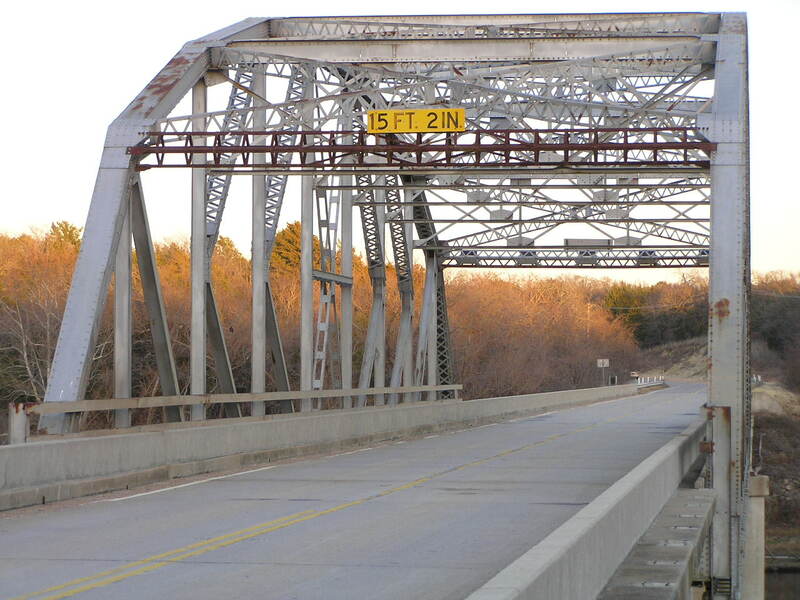 OK 32 Hickory Creek Bridge, Love Co. 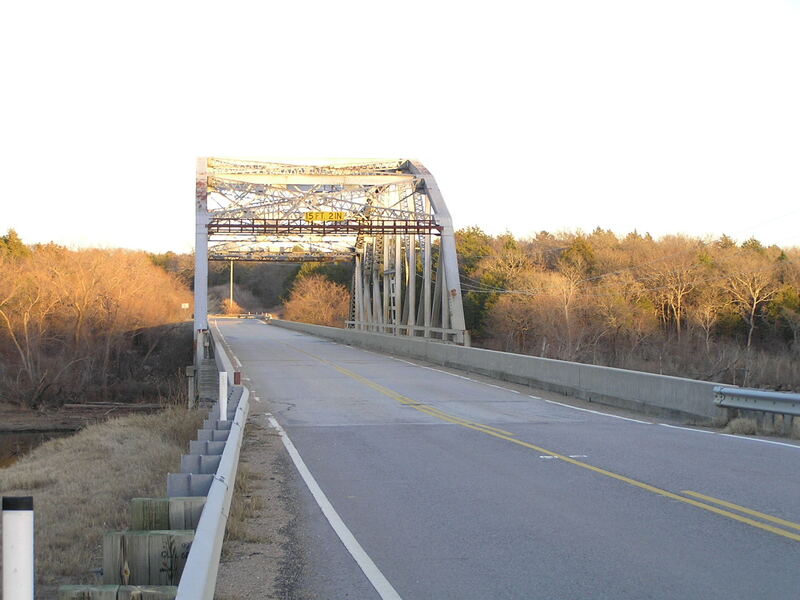 Built in 1946, this bridge crosses Hickory Creek just north of where it dumps into Lake Texoma. 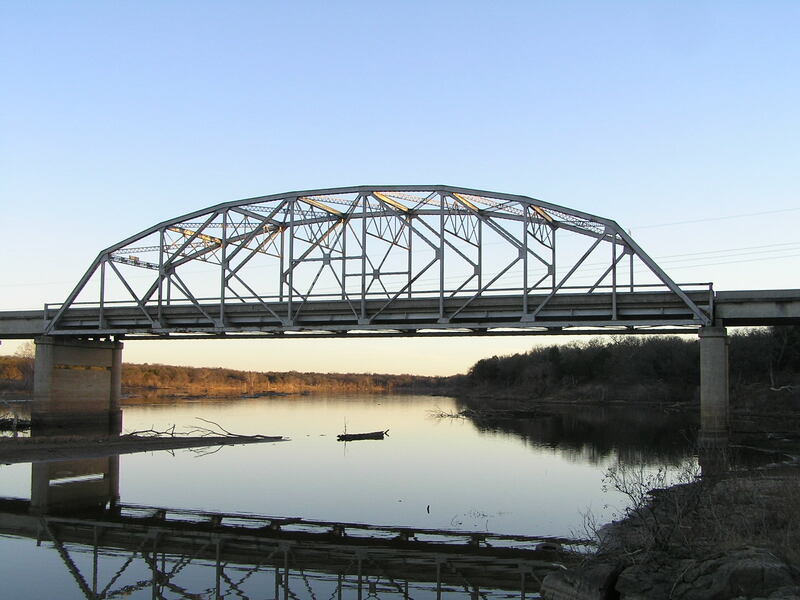 Above, looking east, the bridge consists of a 180-foot K-truss and 11 concrete t-beam approach spans. The concrete guard railings have been altered, and this bridge would have had the "fence" style guar rails seen on may other old bridges, set back a bit from the curb. 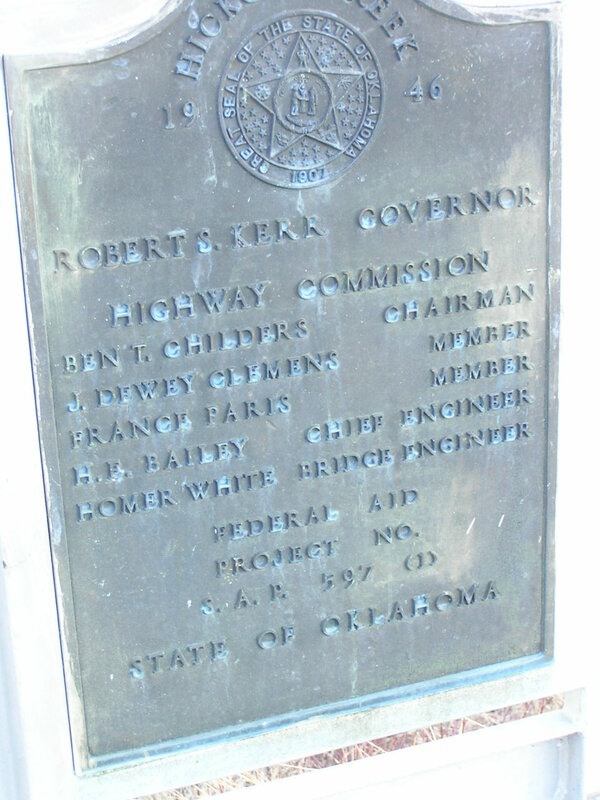 Below, this plaque is located at each end of the bridge. Above, a side view looking south. As you can see, hickory creek has widened out and is a finger of Lake Texoma at this point. 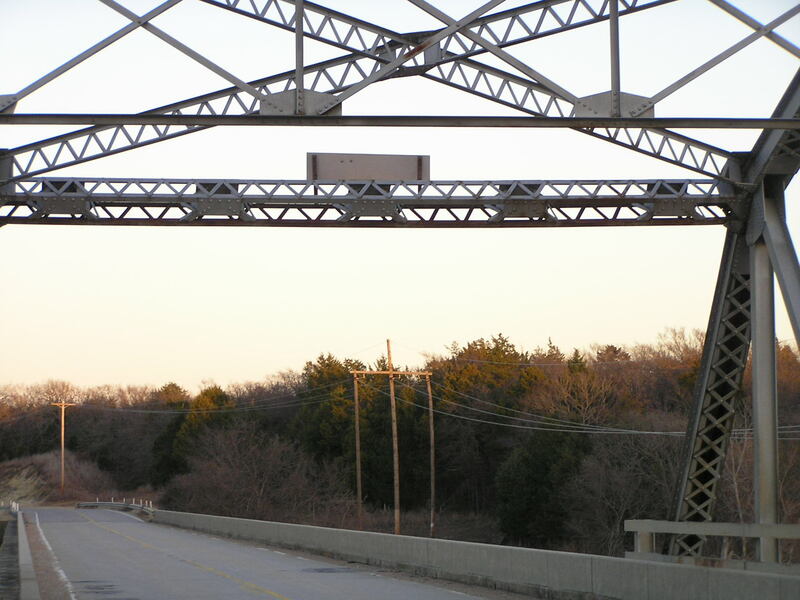 Below, a close view of the truss span. 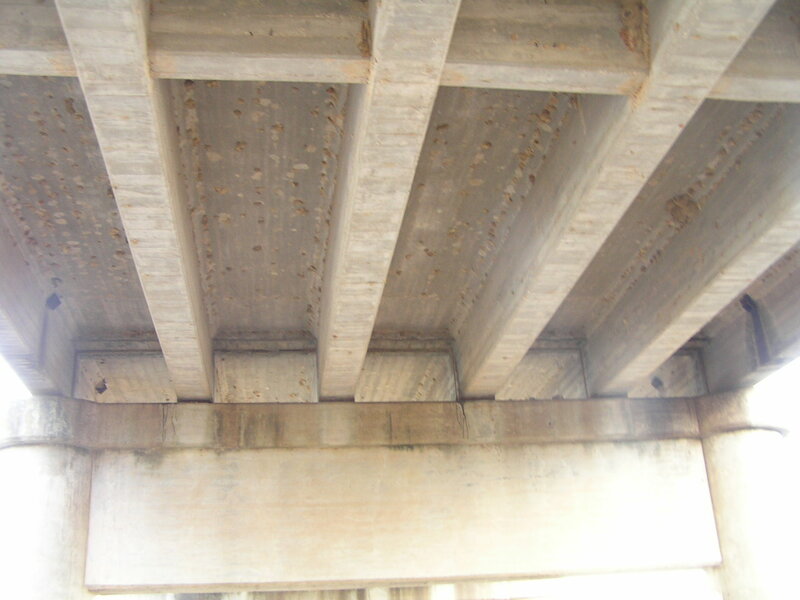 Above, underside of a typical approach span. The beams are all poured-in place concrete, and it is interesting to still be able to see the marks of the boards that made the forms. Below, a view of the portal bracing. As in the photos above, it is clear that these parts of the bridge have been repaired, probably due to clearance issues. 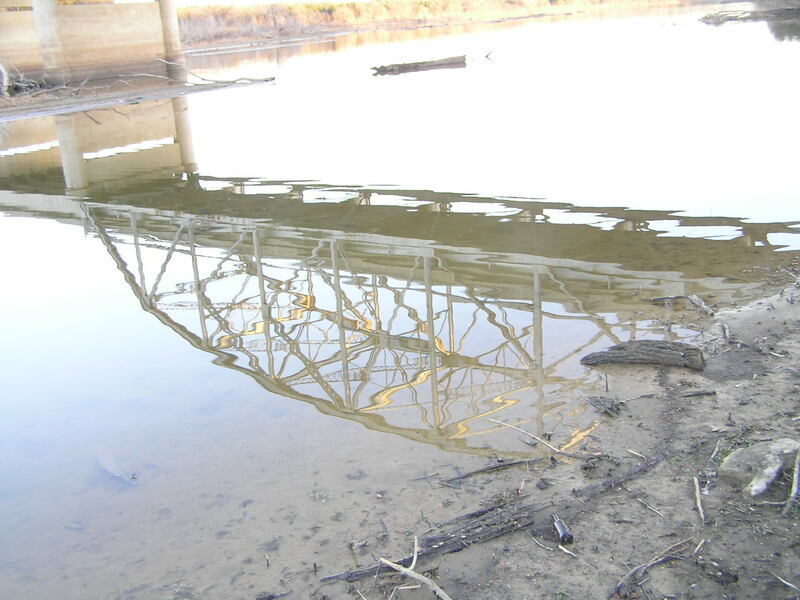 Above, reflection of the bridge on the still water of Hickory Creek. With no load posting, and a wide deck, this bridge should be with us for a while.